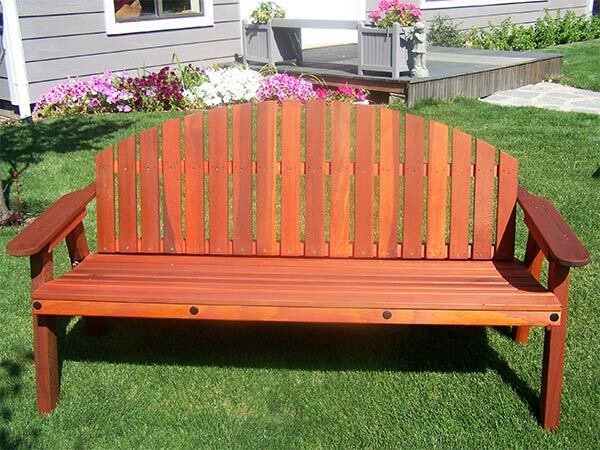 Beautiful redwood Love Seat is just right for a garden area or when used as additional seating for the deck or patio. The Love Seat will seat two or more comfortably. 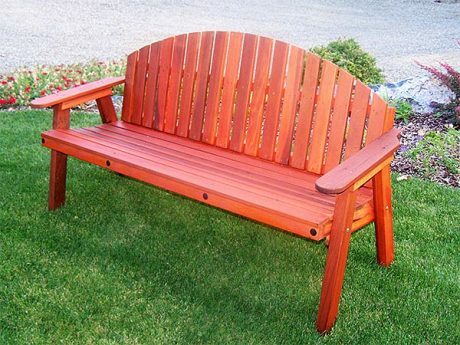 Beautiful as is or add cushions for a decorative touch. 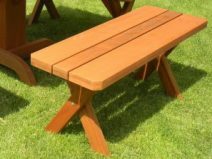 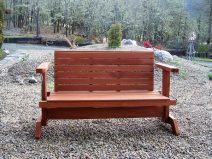 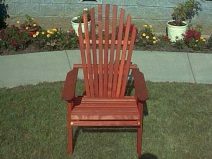 Dimensions are 32″ H x 24″ W x 64″ L.
These beautiful redwood love seats display simplicity and style to compliment your other outdoor furniture. 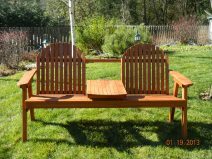 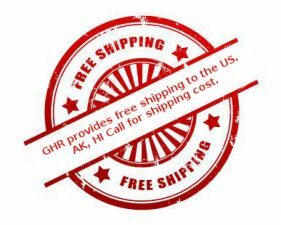 Dimensions: 32″ H x 24″ W x 64″ L.